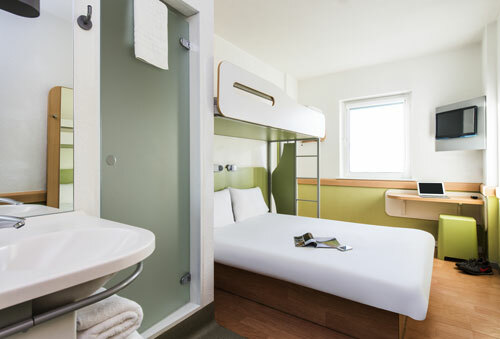 Ibis budget Hotel Southampton Centre is a low-cost hotel situated in central Southampton. 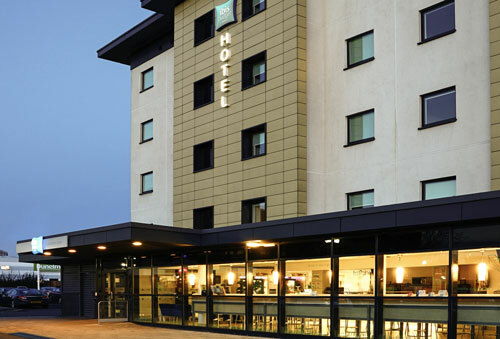 This Southampton hotel is close to the shopping and nightlife of Southampton city centre and the M27. We have a mixture of soft and alcoholic beverages within the reception area which also has a large seating area to enjoy your drinks and conversations. Number of bedrooms: The hotel has 124 contemporary guest rooms and is 100% non-smoking. Each room has en-suite shower, air cooling and flat-screen TV with Freeview channels. Free WIFI throughout. 24/7 reception. 24/7 snacks/drinks. Good value buffet breakfast. Parking information: As you will be a resident at our hotel parking will be charged at the price of £6 for an entire 24 hours per vehicle, but you can re-enter the car park as many time as you wish. Additional services: We are a dog friendly hotel, we do not charge for guide dogs but we do charge an extra £5 per day for other dogs. We sell hot food 24/7 you can order this food via the menu located in the rooms. Southampton Cruise Terminals: All cruise terminals are only (1.2m) away which is a 6 minute drive.